When the kids move out of the house and you find yourself an empty-nester, you may be looking to fill your extra time. 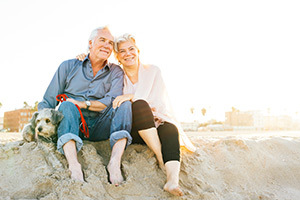 Many people take this time to save up for retirement or travel, but often those two things cannot happen at the same time. However, this does not have to be the case. With Kaeser & Blair’s part time business ideas, you can run a small business of your own while still having the independence to live the life you want. Kaeser & Blair is a direct distribution company that prides itself on allowing its business owners to have complete control over their business. This means no monthly quotas or long days stuck in a cubicle. You aren’t penalized if you don’t sell a certain number of products or make a set amount of money each month. How much you earn is directly associated with how much you work. So, if you want to take a long vacation, go ahead! With K&B’s part time business ideas, you could be making money while at the beach or even from another country. Since its founding in 1894, Kaeser & Blair has had a strong and stable history. For over 100 years, we have been committed to being a leader in the industry with integrity and reliability. Our part time business ideas have led many to have a successful business of their own, earning us an A+ rating with the Better Business Bureau. Not only do Kaeser & Blair’s part time business ideas allow you complete control, you also have the opportunity to profits beyond comparison to other direct sales companies. As a part-time business owner, you could make up to $20,000 per year from anywhere you like. If you find that you want to make Kaeser & Blair your full-time job, you could be making as much as $180,000 per year! However, the profit potential doesn’t stop there! With no commission cap, you could earn even more with hard work! To begin earning money with K&B’s part time business ideas today, simply order the Standard Business Owner Package and get your business started. At $85, this package comes with everything you need to begin a successful business. This includes the Best Buys catalog, which lays out all of the best products in an easy-to-read format for a better selling experience. If you decide this isn’t the right fit for you, your $85 will be refunded to you. Almost every company uses promotional products to advertise themselves. If you look around your home, you are bound to find a pen or t-shirt with a company’s logo on it. This industry is rapidly growing, and with Kaeser & Blair’s part time business ideas you could take advantage of this great opportunity. Still not convinced that Kaeser & Blair’s part time business ideas will work for you? Order our FREE TRIAL LAUNCH PACKAGE and see how much you could be earning today!